Every one admits that trust is not only the essence of self-realization but rather it is also the footstone of human social live and social interaction that is why trust is not a very new topic for Balk residents. However trust is a general concept about which you might have your own picture and idea about, but not so many people have a deep understanding of the trust and the role that it plays in their every day routines. 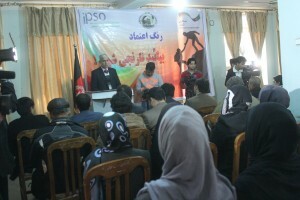 To arouse the curiosity and also to provide a comprehensive understanding of trust, Ipso’s Balkh cultural container initiated a very different way to catch people’s interest. 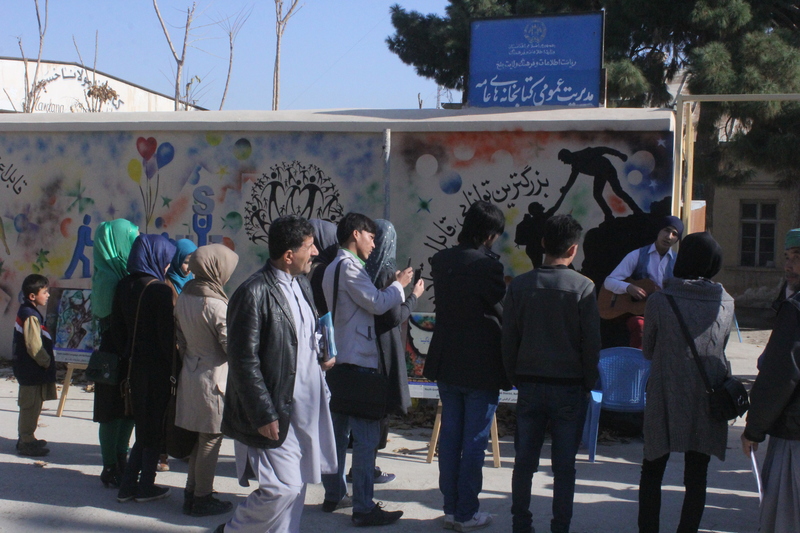 For the first time in Balkh province, they tried to portray the topic of “trust” using graffiti art with interesting objects painted on the wall. 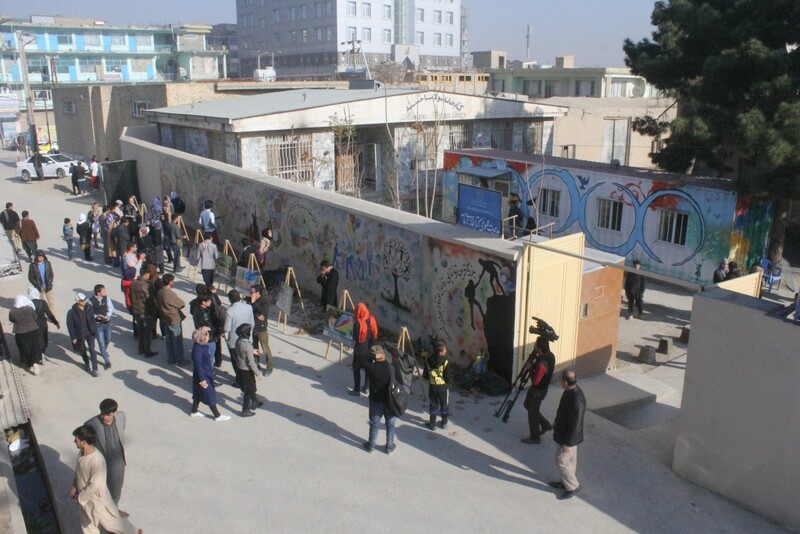 On the 1st December 2015, dozens of people gathered in Mavlana Khasta Library, to see the graffiti art, which decorated the wall of the Balk government press building, picturing “trust” in different artworks. In the beginning of the event, Salih Mohammad Khalique, head of Balkh department of cultural affairs, appreciated Ipso and the Balkh cultural container initiatives and efforts for promoting arts and culture in Balk province. Then he spoke about the historical background of graffiti and how it developed during the centuries. 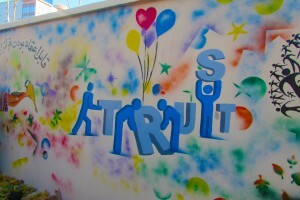 He also spoke about the role of graffiti in raising awareness among people and consequently changing social behaviours. 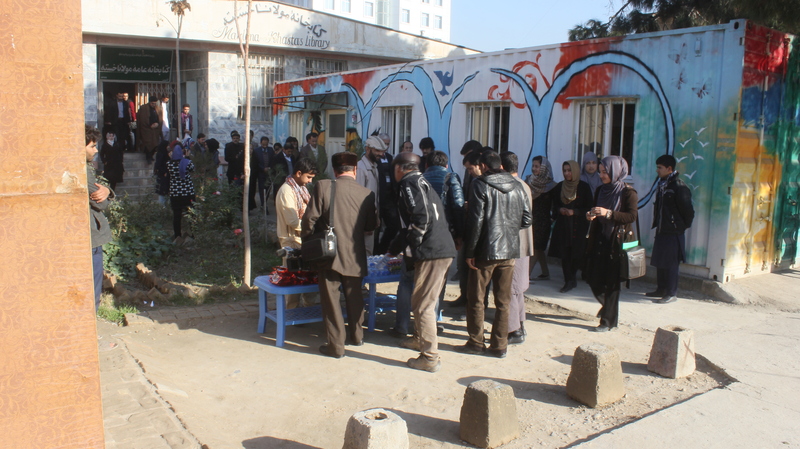 He said he is quiet hopeful that initiatives like this bring more discussion and reflection about trust and tolerance to the Balkh residents. 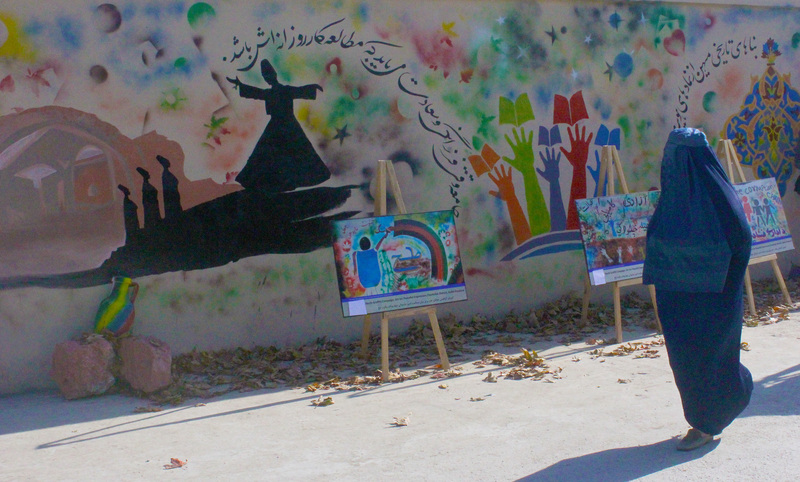 It seemed that visitors were surprised and amazed seeing the artworks depicted on the wall. “What I have learned from today is that Graffiti is a wonderful way to express your feelings and your thoughts to an audience. 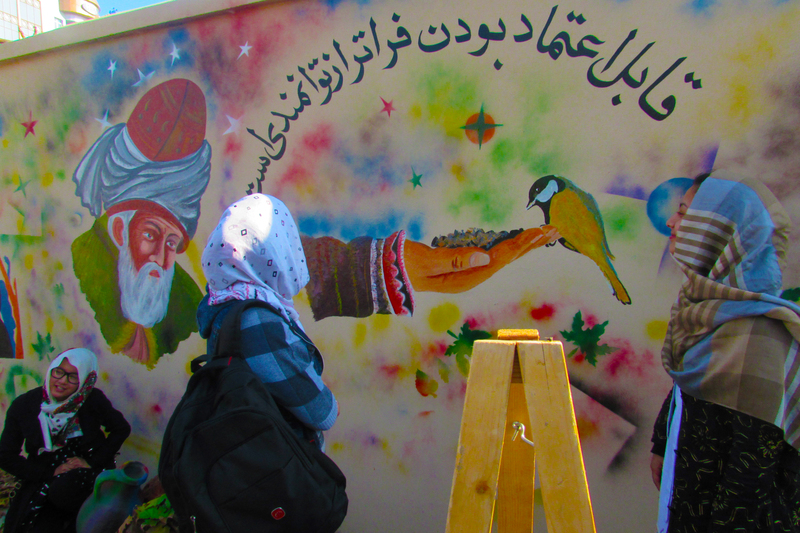 Art gives us unique tools to transfer our message to the people in a very lasting and effective way.” said Madina, a teenage girl, who newly started to learn painting in the cultural container. When Fazlulhaq drove his auto-rickshaw into the street, he was amazed seeing the graffiti painted on the wall. He parked his rickshaw in a corner and came to look at the graffiti in detail. ”I learned from looking at these pictures how important it is to trust my fellows. Developing a sense of trust and empathy to our fellow human beings strengthens our social bonds and brings us inner peace,” he said. 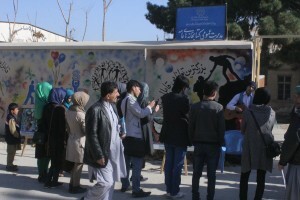 Rahimullah, an ironsmith and local craftsmen thinks that objects painted on the wall encouraged him to learn graffiti art, so he can express his feelings through the graffiti and show it to his countrymen. Graffiti, calligraphy and painting combined art, is normally used to decorate a wall of a cultural building or to transmit a particular message to the people. 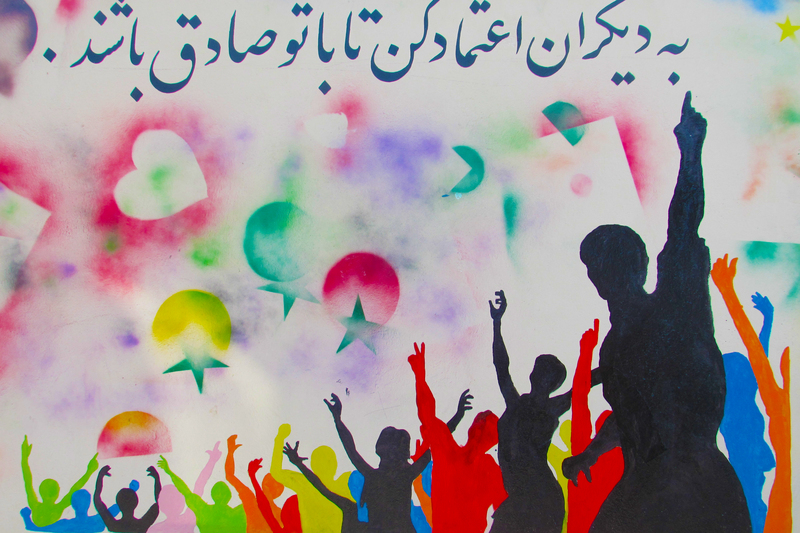 Modern graffiti is also often used to criticise and protest against injustice, inequality, corruption and discrimination. 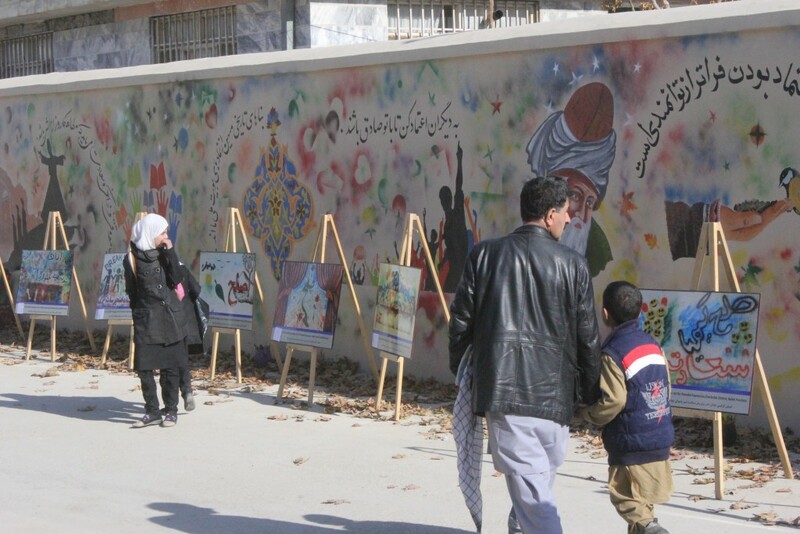 The Balkh cultural container team in cooperation with the Balkh department of cultural affairs decorated a wall with giraffe arts, named “The Wall of Trust”, which now attracts a lot of attention in Mazar-e-Sharif. 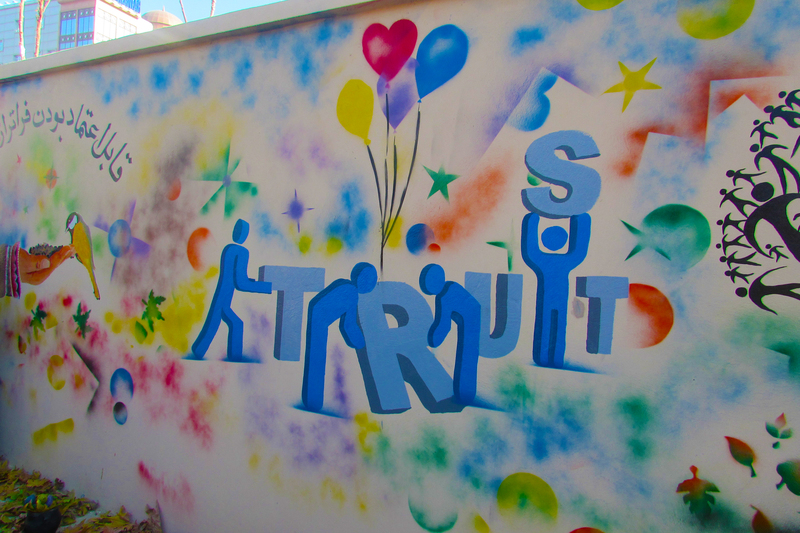 The graffiti includes nine artworks reflecting the issue of “trust” in different ways. It is on the wall of the government press in an old street, so called ‘Gozar e Darbaar’ which is a very busy street. The art work attracted a lot of attention and created interest for graffiti. 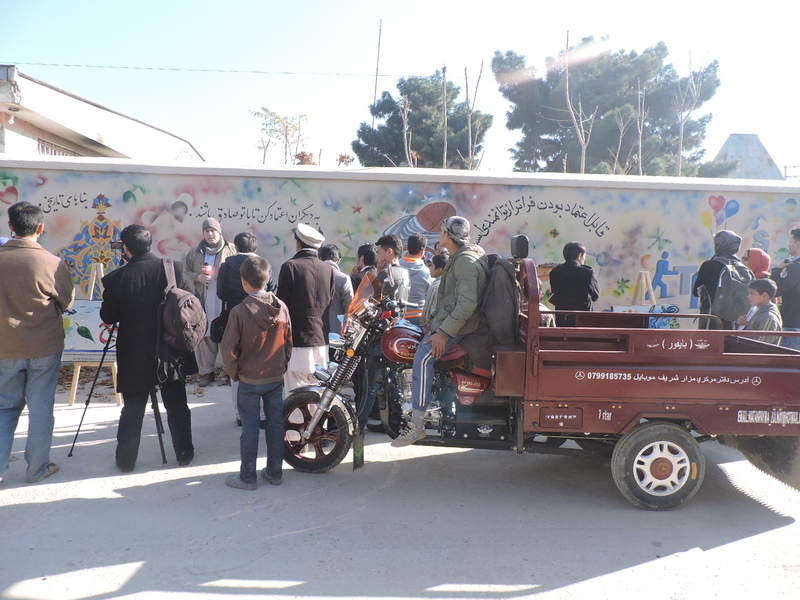 It also raised a lot of questions about where and how to learn the graffiti.